Celebrity does not equal intelligence, wisdom, compassion, honor or respect. You're hardly surprised! 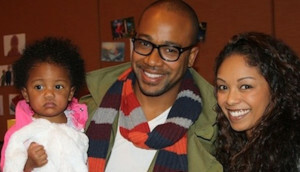 I read an article today in response to a radio show outburst, I mean opinion, responding to a report about actor Columbus Short being arrested for threatening his wife Tanee McCall Short with a knife in a reported domestic abuse incident. He held a knife to his wife's throat and threatened to kill her, all the while in front of their children. The reason? He threatened her with a knife because he accused her of sleeping with other men. FIRST: If his accusation of her is true, murder by crime of passion is not a recommended path. And what example is this for the young boys and men who look up to him? SECOND: Domestic violence of this sort is truly abhorrent, and to have any celebrity involved and treated differently because of it, really rubs me the wrong way. I can't speak to the details of this, maybe another post later on about the ways to avoid it getting this bad will help. THIRD: Short no longer being on the hit show Scandal has rocked the world of millions of Scandal fans, which I'm sure hurts them deeply. There is a more disturbing point here, however, that supersedes their grief. Compared to the trouble he has gotten into, like the other incident that he has racked up, his exit is a mild side-bar. Would he have experienced these incidents if he wasn't a celebrity? Perhaps. Would the bar fights not have happened if he wasn't feeling his celebrity hubris? Quite possibly. Does his domestic arrest shine a light on the thousands of other domestic cases that don't hit the limelight? I sure hope so. Ignoring the facts as he did, there is no evidence to support his views, and certainly no justification. This, to be polite, is absolute, acramonious crap. I used to respect and enjoy D.L.’s commentaries and comedy. Not any more. His views put him firmly in the same ignorant, macho, misogynistic and patriarchal camp as another stalwart named Steve Harvey, who has made a killing and milked the public for his shame of a book (and movie and sequel) Act Like a Lady, Think Like A Man. My feelings about that particular publication will have to wait for another blog post. If you feel the same way as I do, I can recommend a far more heartfelt, honorable and useful book called 50 Ways To Love Your Lover. 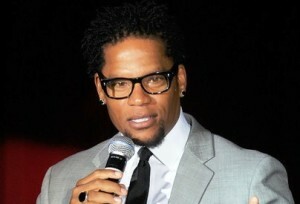 Hughley appears to be a female-bashing sexist and is speaking with absolute ignorance in response to a situation he has no personal knowledge of. This is way out of balance, integrity and responsibility. Whether he is speaking from his beliefs, or is going for ratings, he has diminished his standing among men, and women for that matter. And he has removed himself from my respect, not that he cares I'm sure. Speaking of not deserving respect, the other member of the camp I mentioned, Steve Harvey, has traded his comedic talents to become well-known as a sexist and ignorant non-expert when it comes to women and relationships, appealing to the caveman mentality that is still sadly prevalent in western society. Hmmm, methinks there's a trend. Damn shame. Both of them have demonstrated a severe lack of respect, honor, gentlemanly conduct toward women, and a poor example of leadership for young men. They deserve no respect, support, or fandom. The fact they get paid to talk like this sickens me. I wish for either or both of these men to have a "come to Jesus" moment and apologize. Apologize to all women, apologize to the young men who are blindly believing their teaching and hurting and disempowering young women. I'd love either of both to reject their former views, and become authentic masculine leaders. We certainly need more of that, in all walks of life. Perhaps karma will work things out. One can hope. I see this as a wake-up call (yes, another one) to men, and women, everywhere. I realize that it makes my own work, in coaching, speaking, my book, programs, etc., even more important and necessary. At the same time, I know the huddled masses and the overbearing media love this sort of thing, particularly as they reap massive revenue from advertisers, and these men continue to earn a fat salary at the expense of their poor un-mic’d victims. In the meantime, if you know a radio station (or TV show for that matter) looking for a change, and wants an intelligent and integrity-based relationship show host and expert, who honors and serves the true feminine (and authentic masculine) drop me a line. I'll happily host it, and I can guarantee a way more intelligent, compassionate, and respectful conversation. Bonus, I’ve been told many times I have a wonderful radio voice (the English accent makes it even better)! ← How To Leave While You’re In Love. One Response to Sexism, Misogyny and Celebrity, Oh My!